FirstService Residential, Arizona’s leading HOA management company was selected to provide management services for Marbella Vineyards Homeowners Association in Gilbert, Arizona. The single-family home community includes 638 houses and features numerous walking paths and a lush seven-acre park. FirstService Residential, Arizona’s leading HOA management company, was selected to provide management services for the 638-home Marbella Vineyards Homeowners Association in Gilbert, Arizona. 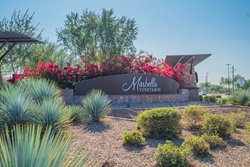 FirstService Residential, Arizona’s leading community management company, was selected to provide management services for Marbella Vineyards Homeowners Association in Gilbert, Arizona. FirstService Residential assumed management responsibilities on January 1, 2018. The single-family home community includes 638 houses and features several walking paths along with a seven-acre park. Recreational amenities are located within three separate areas in the community and include playgrounds, basketball courts, sandlot volleyball, picnic tables, and barbeque areas and grills. In addition to community management services, FirstService Residential will provide Marbella Vineyards with access to FirstService Residential Connect, the company’s proprietary community association technology platform. This technology will enable them to better manage property owner records, billing, fee collections and more. FirstService Residential is North America’s largest manager of residential communities and the preferred partner of HOAs, community associations and strata corporations in the U.S. and Canada. FirstService Residential’s managed communities include low-, mid- and high-rise condominiums and cooperatives; single-family homes; master-planned, lifestyle and active adult communities; and rental and commercial properties. In Arizona, FirstService Residential is recognized as the leading homeowners association management company in the state, serving over 270 community associations and more than 90,000 households. We offer a comprehensive range of homeowners association and property management services to communities of all types and sizes throughout the state, including the Greater Phoenix and Tucson areas. Ranking Arizona has named FirstService Residential as Arizona’s top choice of HOA management companies for the 12th consecutive year. For more information, visit http://www.fsresidential.com.